A small inn located in the mountains with only 6 rooms where you truly feel like you're going home. Another home awaits you here. Rooms are Japanese style to present a well-lit architectural beauty for relaxation and comfort. In the tranquility of the mountain village, enjoy the luxury of doing nothing. Ikegami's greatest charm is the dishes of kaiseki lavishly featuring Toyama's produce. Please enjoy the graceful moments along with the representation of the delicate beauty cuisine. Local fresh fish caught in the morning, locally harvested rice, Toyama sake, are all ingredients that can be appreciated by guests. At our flowing hot spring, we offer unparalleled relaxation with the scent from the wooden bathtub. The hot water will surely heal body and soul when bathing in water that is soft to the touch. A time to leave the mundane everyday life. Thank you very much for taking care of satisfactory hospitality this time. I am also very interested in your dishes in your house. Each one is a device to make the most of the ingredients. The coffee cup and lid of the washroom I have been looking for are very satisfied. This time, the bath was only for family, so I was a little surprised, but as the other people did not come in, the tension thread unraveled while bathing so I was able to enjoy the hot water slowly. I thought it was a wonderful idea to make it time-based. I immediately sent a photograph etc. to my colleagues and introduced them, but everyone, I was very envious and interested. I hope to see you as my friends this time. Thank you. Dinner was served in a nice machine, and it was delicious. Also, the hot springs were very good, the skin moistened. One thing I regret was that the room was on the first floor and I was concerned about the footsteps of the upper floor. Other In the morning, the bath was waiting for the turn, so I thought it was good if I had another breakfast time. If there is opportunity, I would like to use it again. Thank you for being indebted. Interior decoration is cute, it is unified with rice and it is wonderful. Cooking was very delicious in the morning and the evening, the sushi and the equipment were beautiful, and the baking of the bream's 60th birthday celebration was impressed. It will be only one, but the futon is thick and sweaty. The air conditioning was effective, but I thought it was good if a slightly thin futon was prepared. Moreover, I would like to visit by all means. Thank you very much. 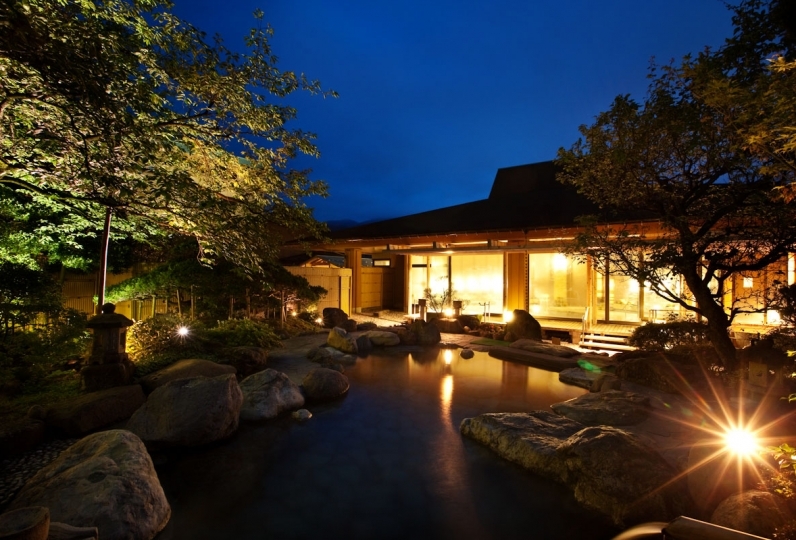 · Enjoy the natural hot spring of Kitayama Onsen. 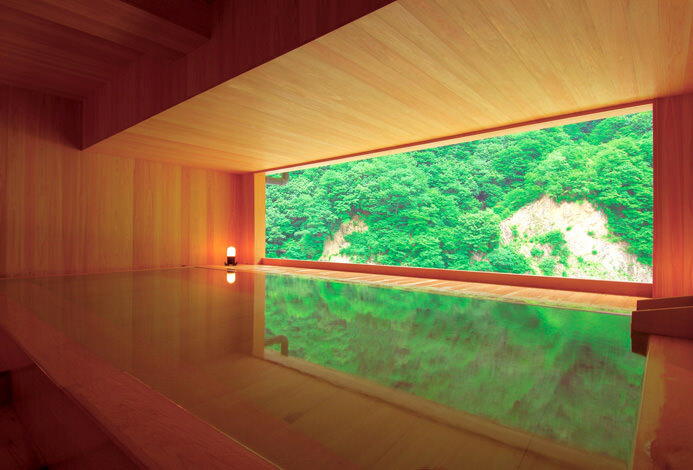 A cypress bath facing the small garden embodying the Japanese artistic sense. The beautiful green and scent of cypress heals the body to its natural state. Experience with the five senses and experience a peaceful time. A cypress bath with soft hot water to heat the body to the core. Moisturize the skin with water that doesn't cool easily. In order to avoid a "It was different to what I had expected" experience, we  emphasize the fact that we consist of 6 guest rooms. Due to this, our bathhouse consists of a small scale facility (bath allowing 3 members to use at the same time) differentiating us from large-scale accommodations. Also as out accommodation deep in the mountains has a long history of being a bathhouse to those seeking replenishment, we believe that the accommodation will not suit guests looking for a vivid hot-spring town. We hope that you fully understand these factors when considering our accommodation. • This plan fee, bathing tax (¥ 150) is not included. Dinner begins at 6pm so please check-in by 5:30pm. ※ from Uozu Station, please use the bus. Please use the Toyama Airport.